My plans to explore San Diego’s historical landmarks in numerical order came crashing down this morning when I realized that I could not get to San Diego Historical Landmark #16, Whaling Station Site, because it is smack dab in the heart of Naval Station Point Loma. In other words, it is inaccessible to the general public. What! How can a historical site be inaccessible? Oh, the nerve…. The site is next to the San Diego Submarine Base, and if you take a boat tour of San Diego harbor you can sometimes get great pictures of submarines. There’s a road, 209 on the map but Rosecrans on all the street signs, that goes through the middle of the naval base and Fort Rosecrans National Cemetery. Fort Rosecrans National Cemetery is directly above the submarine base, so if you stop and walk to the edges of the cemetery, you can get good pictures of the submarine base and submarines currently in port. Continue on Rosecrans out to Cabrillo National Monument and enjoy the best views of Shelter Island, Harbor Island, North Island Naval Air Station, and downtown San Diego. 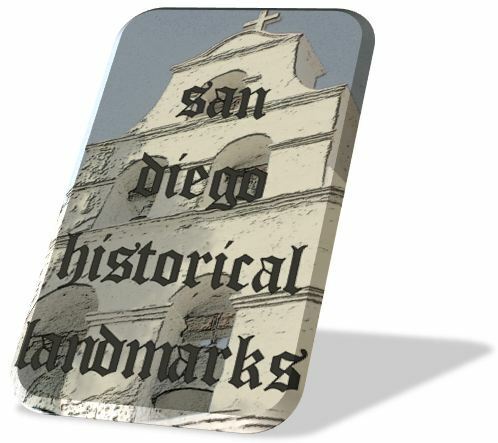 The Whaling Station Site is where shore whaling had its start in San Diego in the 1850s. Shore whaling involved shore sites where whalers cut up the whales they had taken in the harbor and at sea. The blubber was boiled down for oil, which was coopered and stored for shipment at the site. The San Diego whaling station produced as much as 55,000 gallons of whale oil annually. Shortly after the United States Government took Ballast Point in 1869 for military, quarantine, and lighthouse purposes, the whaling station was forced to move. I did find out that the Whaling Station Site is accessible one day each year, on October 14, when is when Cabrillo National Monument was founded. I guess you know where I’m going on October 14, 2016…. This entry was posted in Halls of History, History, Out & About, Photos on November 21, 2015 by Russel Ray Photos. I will look forward to that post next year! We’ll make it a date next year. 😀 I’ve never been to that site (or Ballast Pt, for that matter) before!